← Museums at Night 2014 internship – join the team! Happy New Year! Our latest guest post comes from Bill Griffiths, Head of Programmes at Tyne & Wear Archives & Museums and creator of The Late Shows. 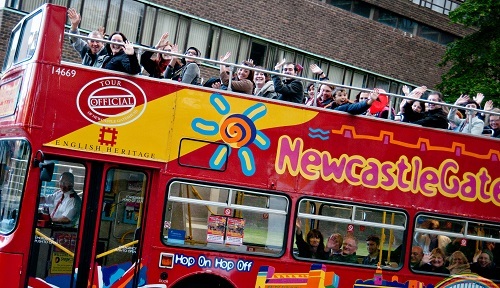 The Late Shows was developed as Newcastle Gateshead’s response to the Museums at Night festival. In our first year, 2007, we opened on the Saturday night only having begged and bullied 14 venues into taking part. We had 4,500 visits. Last year (2013) we had 60 venues and 33,000 visits. 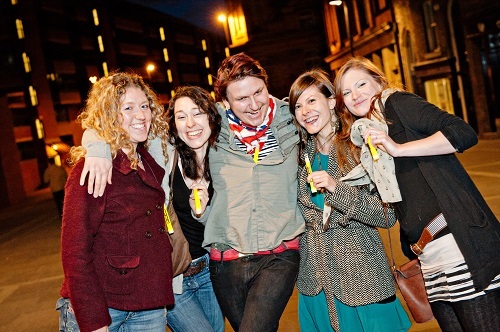 We restrict participation to venues that are not normally open at night, but now the evening venues want to be part of it as well so we have our own ‘fringe’, The Late Lates, with evening venues staying up past their bedtime too. The weekend starts with our ‘Friday night warm up’ where we open venues in the Ouseburn quarter of the city, where a number of arts organisations are based – then on Saturday night we open the lot! We were very fortunate in hitting a distinctive brand and title for it in our first year. It’s designed to appeal to the Arts Council’s ‘Fun Fashion Friends’ audience segment, that is, 16-34 year olds who intend to engage with culture but maybe don’t get around to it. We have had steady audience growth each year with existing audiences coming back and bringing their friends. It’s fair to say the Late Shows is an eagerly anticipated event in the calendar. We manage it via a steering group made up of experts from different organisations, and we have a volunteer crew for the event who give out glowsticks and brochures, make visitors feel welcome and signpost them on to other venues. Don’t have a theme beyond daytime venues being open at night. This allows the maximum number of venues to take part and showcase their work. Do encourage people to move round. We call the Late Shows experience a ‘cultural tapas’. We put on a free bus to move people around between multiple venues, and encourage venues to put on programming that will keep people for no more than 20 minutes. Many people like to try and see as many different places as possible. Mix it up – some arts, some heritage, some arts in heritage sites. The broad mix of programming will attract a broad audience. Although young people are our core audience we see a lot of families coming in as its something they can do together on a Saturday evening, and we also get a lot of older people who say they feel safer being in town during the event. Give all the venues equal billing in the brochure – it creates more of a spirit of being part of a family of venues. Equally, get all venues to market the Late Shows brand in their own promotional material. Have glowsticks! This is more important than you would believe. Firstly it creates a festival atmosphere; secondly it make the event stand out in people’s minds; but thirdly and most importantly, as people are walking about the city they see that other people are on the same night out as them – and as a result feel more secure. Ensure venues provide opportunities for people to participate, not just passively view. Use social media to build your audience. For more information, come to www.thelateshows.org.uk! 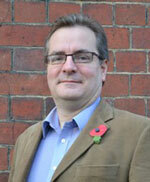 Bill Griffiths’ day job is Head of Programmes at Tyne & Wear Archives & Museums. He started his working life as a field archaeologist before becoming involved with the development of Segedunum Roman Fort, Baths and Museum on Hadrian’s Wall. From there he became the Museum Hub Manager for the North East and set up The Late Shows in 2007. Thanks, Bill! If you’re reading this and you have an interesting story to tell or case study to share about planning or marketing after-hours events in arts or heritage venues, I’d love to publish your guest posts as well. Please get in touch with rosie@culture24.org.uk. This entry was posted in Guest post and tagged advice, attracting visitors, city events, Guest post, Museums at Night 2014. Bookmark the permalink.